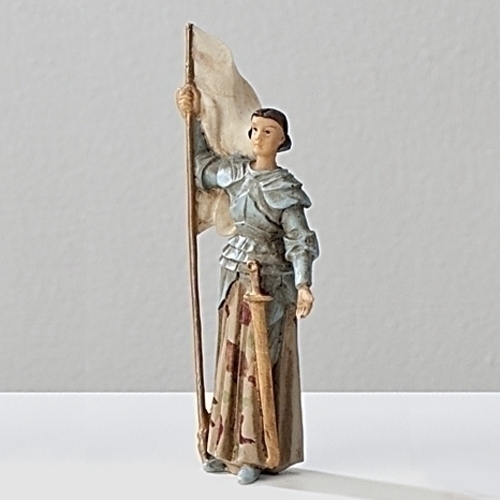 Miniature collectible figure of St. Jo an of Arc is 3.5"H . This beloved, heroic, saint is Patron of soldiers and France. There is a short biography of the saint on the outside of the box. Also, comes with a prayer card.